It's definitely spring when the bleeding hearts begin to appear in the garden. 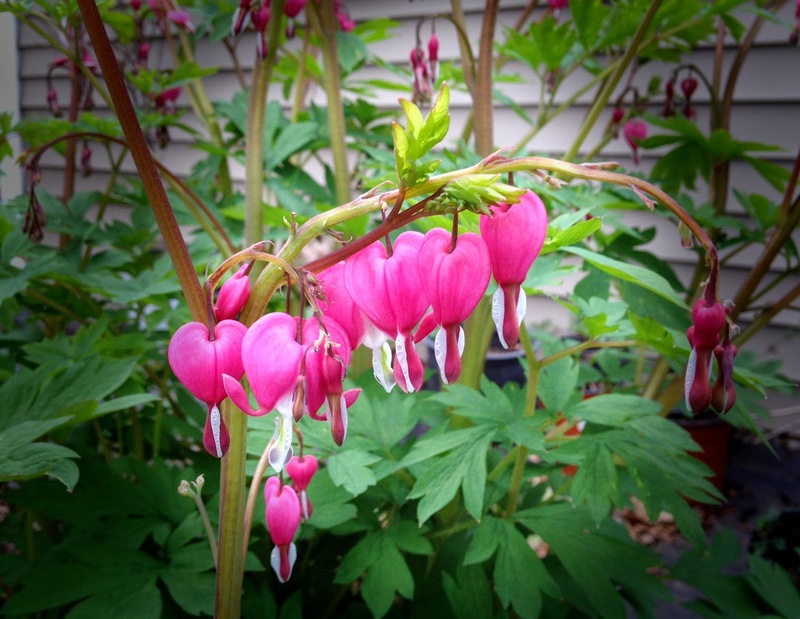 Bleeding hearts grow best in partial to full shade areas with moist soil. When the plant is located in a spot it likes, it grows in size each year. This photo is from a plant that has been in my garden for about four years. What's blooming in your garden today?